MoreBeer! 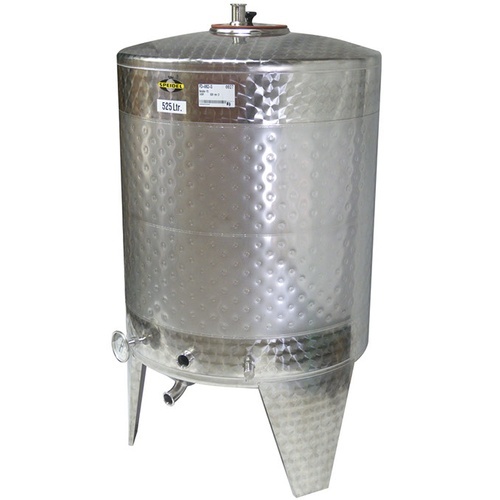 is proud to present our line of premium quality stainless steel tanks. Built in Germany by Speidel, the world-class traditions of German engineering and craftsmanship are reflected in these tanks. And, after examining tanks built by every major manufacturer worldwide, we can safely say that when it comes to features, quality and price, these tanks represent the very best value available in stainless steel beer storage. Safely store small volumes of beer. Convenient top hatch makes cleaning and oaking easy. Heavy duty sealing mechanism and thick gasket ensure an air tight seal. The tanks will support a few p.s.i. of pressure, however they are not pressure rated or designed to be used under pressure. The inside is finished to Speidel quality standards. Bottom drain fittings are 1.5" Tri-Clamp. Flat bottom tanks do not have legs; conical tanks come standard with legs. 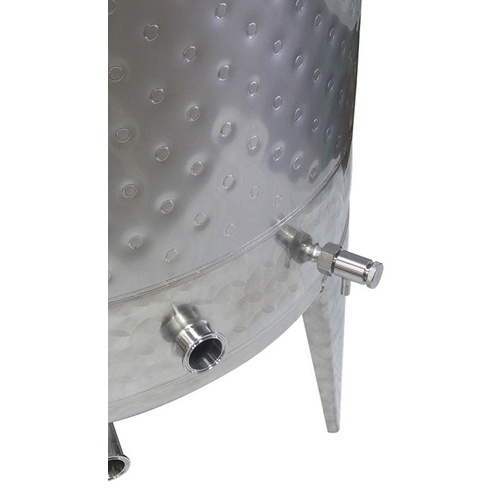 Full Jacket - Braumeister Fermenters are equipped with a jacket that covers all accessible areas of the tank. This will allow you to hook it into a glycol system (see our Kreyer Chilly45, GLY410) for complete temperature control! 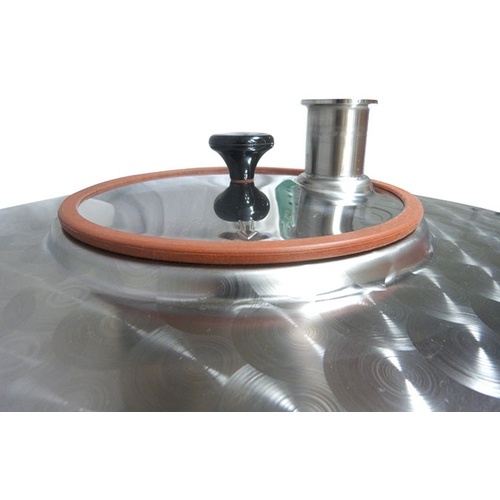 Included Options - All Braumeister Fermenters feature 1.5 inch T.C. outlets (1 on bottom for complete drainage, one in middle for racking arm, one on top for blowoff/airlock), and also two welded DIN fittings. These are equipped with hardware at the factory, one has a sample valve; the other has a thermowell/thermometer combination. Interior Finish - Speidel tanks feature an ultra-smooth 2R rated interior surface which effectively means cleaning is too easy. Watch the Krausen wash right off! 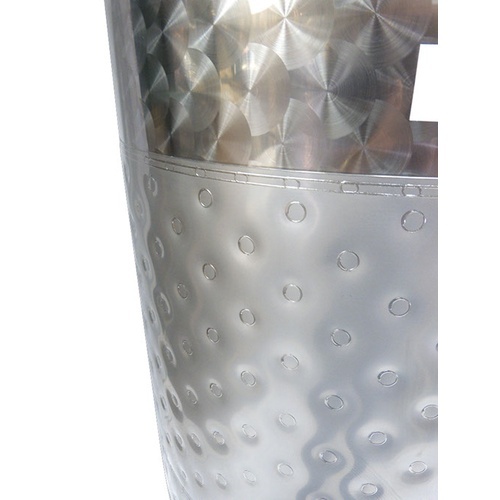 Weld Quality - Speidel's robotic-arm laser welders create flawless stainless to stainless junctions that look and feel more like a taped fabric seam than a traditional weld. Ultra high-quality welds leave no chance for residual product to harbor spoilage organisms. Warranty - Speidel-Behaelter, GMBH backs up each and every tank with an industry-leading 25 year warranty against defects in materials or workmanship. And, as a 5th generation manufacturer, you can be confident they'll be around to honor that warranty should the need arise. Thickness - Speidel tanks are on average around 25% thicker than Italian manufactured tanks of the same general capacity and dimensions. 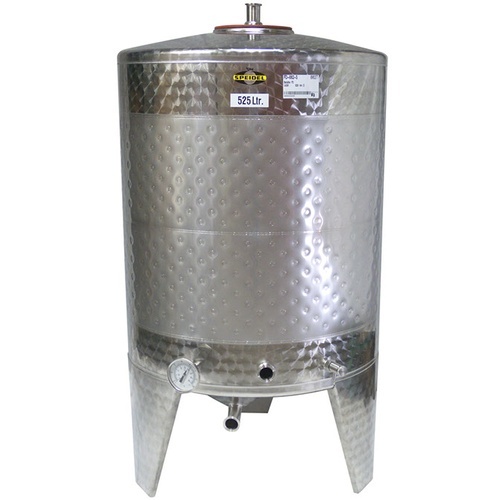 Complete Drainage Bottoms - All Speidel Braumeister tanks are outfitted with conical, pocketed bottoms for total drainage, which maximizes product yield at rackings and makes cleaning a snap. *Please note that flat-bottomed tanks do not feature total drainage bottoms. Tri-Clamp Valve Ferrules - All Speidel tanks come configured for use with Tri-Clamp (TC) style valves and fittings. Other sizes and custom configurations are available at additional cost upon request. **Please Note: TC valves not included. Please inquire with your sales associate for pricing on TC valves and fittings. Full Volume of 525l (138gal). Perfect for Double Batching with our 200l Braumeister. 1.5" T.C. Drain, Racking Port, and Lid outlet. 8.5" Top hatch for easy cleaning and additions.